Redesigning your website can help donors connect with your mission, build a stronger community, and inspire people to take action on your issue. 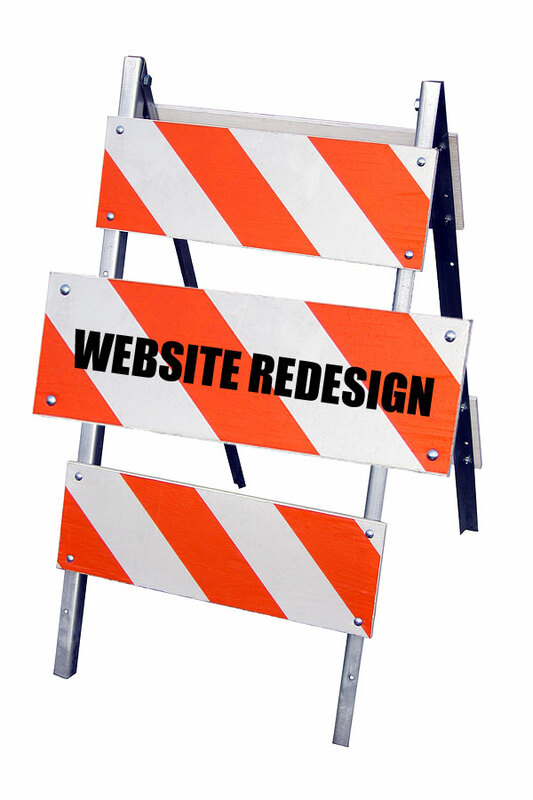 But before plunging ahead with a complete redesign, it’s helpful to do some planning to ensure that your website accomplishes what you want. Here are some critical planning steps to ensure success. Sure you want to promote services, raise money, or improve membership rates - but by how much? Establish exactly what it is you want your website to do for your organization, and you’ll be able to build the site around those goals. Being as specific as possible in defining the outcomes you desire will help determine what type of content to focus on, what type of features to include, and most importantly, what to monitor for results. For example, if you are looking to attract a larger volume of smaller donors, then you might set goals for increasing social media activity, building your email list, and increasing the open rates on your email newsletters. If you are attracting larger donors, you might want to track downloads of your annual report or other information demonstrating your organization’s longer term impact. Whatever metrics you choose as your dashboard, it’s important to review it regularly so that you can learn what works and what doesn’t, and then adjust accordingly. You may not love your current website, but you can learn from it. Before scrapping it to start your new one, check your website metrics to see what pages people are going to the most. This can tell you about content people value, or what type of information they may be looking for. An overall assessment of your current site can tell you what elements might be worth retaining in the new site. Is your logo professional, are your organizational colors recognizable, does your content avoid industry jargon and speak to the audience appropriately? Do you have an archive of emotionally-appealing images to draw from, is your navigation clear, do you offer multiple points of engagement for visitors? When thinking about what it will take to develop a new site, consider more than just money. For example, staff time spent on trying to write the copy for the site may be better spent on programs. Before you begin the site design process, it is important that you determine what the budget for the project will be and who will create the site and manage the development process. Consider what content will need to be updated regularly (and who will do this), what the approval process is for the website, and when the site is needed. Remember, even if your organization has web-savvy staff, it is quite possible you will still need the outsourced help of experts to guide you through the web design process, if only to keep everyone on task and usher the project through the approval stages. Your website should revolve around your users, not your organization. And different people have different needs. Roger may find the advocacy part of your mission appealing to his sense of justice in the world and is willing to sign a petition, while Heather may identify with that fact that you provide support services and will refer a friend. But neither one may be ready to make a donation. Think about the people you want visiting your site, what motivates them, and how you can tap into that motivation to drive them to take action, and the website content and features that need to get them to do so. Your site map helps you to plan the content of your website. Make it easy for people to find the information they want in the way they would expect to find out — which, surprise, is not by your organization’s departments. Your homepage should have easy-to-use navigation to the other sections of the site. All parts of site should be accessible in as few clicks as possible. At this point, you should be in a good shape to understand what you want to get out of your website. While you may not be able to afford everything you need all at once, you can get the site of dreams by doing it in phases. However, it is important to plan for it so that it doesn’t cost more in the long-run or even prompt another overhaul. For example, once you have determined all the features you need, select the appropriate technology platform that will allow you to add those features in the future, and a web hosting company that has the services you need, so that you don’t have to change host companies. This is often an area in which nonprofits need the most help. Compelling copy that conveys key points and leads the visitor though the site, does not appear by magic. And relying on various program people to cobble together the copy for you site is not a great strategy. In order to develop quality content for your site, consider what source material you have (it may be the heads of your staff), what people in your organization have relevant information, and who is best suited to transform it into inspired copy that motivates your donors and site visitors. If Search Engine Optimization (SEO) is a big part of your plan, then start with doing your keyword search at the planning stage and build the around your keywords — your site will be more effective than trying to add keywords later. So, there you have it — the crucial steps to laying a smooth foundation for your website. With these steps in place, you can let your creative team explore options that meet these needs, and you’ll know exactly what you are aiming for.